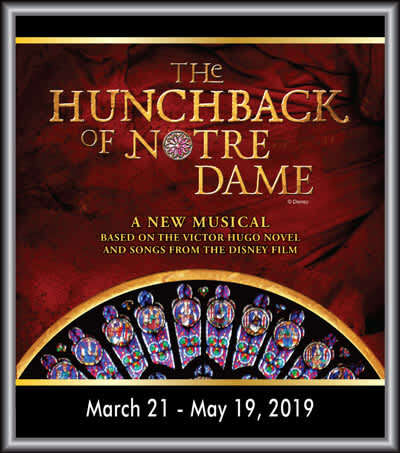 From the Academy Award-winning team of Alan Menken (Beauty and the Beast) and Stephen Schwartz comes a stunning retelling of Victor Hugo’s epic story of love, accep- tance and what it means to be a hero. 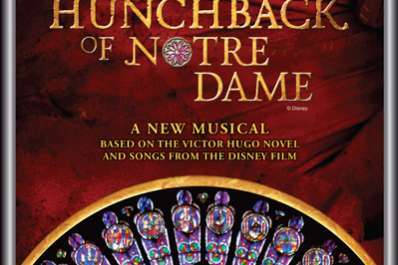 As the bells of Notre Dame sound through the famed cathedral in fifteenth-century Paris, Quasimodo, the deformed bell-ringer, longs to be “Out There,” celebrating the “Feast of Fools.” A sweeping score with songs from the Disney animated feature and powerful story make The Hunchback of Notre Dame an instant classic. You will be swept away by the magic of this truly unforgettable musical.